Have you ever created a recipe at home, completely out of necessity? Because you ate it while on vacation far, far away, or a store has stopped carrying a product that you love? And you simply can’t live without its utter fabulousness in your life on a regular basis?! Well that’s how this Curried Cauliflower with Israeli Couscous and Grains came to be. 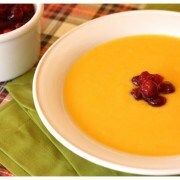 It’s a new recipe I created as part of a partnership with Land O’Lakes! 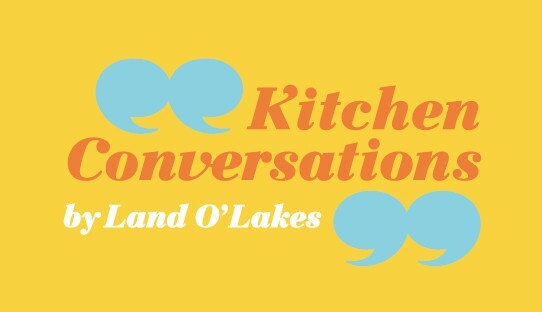 I’m teaming up with Ree Drummond/The Pioneer Woman, and Becky Wahlund, Director of the Land O’Lakes TestKitchen, to bring you Kitchen Conversations by Land O’ Lakes. Kitchen Conversations is about bringing together bloggers with unique backgrounds and cooking styles, and inspiring home cooks to feel more confident and have more fun in the kitchen. You can keep up on all the recipes and fun at Land O’Lakes and through the hashtag #KtchnConvo on Twitter, Pinterest and Instagram. I’ll also keep you posted here on a farmgirl’s dabbles! Last summer my family became hooked on an Israeli couscous and grains blend that I picked up at the store. 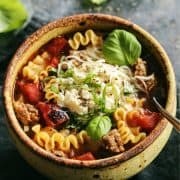 Each time I prepared it, I gave it a little different twist, depending on what else was being served for a particular meal. I always began by adding a simple mixture of onions, sweet peppers, and garlic, sautéed until softened and fragrant. And then I would start playing around…maybe I’d add curry and golden raisins to complement a Middle Eastern meal…or diced fresh tomatoes, cumin, and a touch of chipotle for taco night. Whatever was fresh and flavorful was fair game. And when our herb garden was bountiful last summer, I’d enlist our young girls to pick a handful of whatever looked good to them, to incorporate into the dish. Fresh herbs add such a flavor boost that you just can’t get anywhere else. Coming up with my own couscous and grains blend became a necessity, though, when after several trips to our local store, that particular product was always sold out. After not finding it for several weeks, I was getting cranky. And I was craving that dish more than ever. Israeli couscous: A pasta shaped like little balls. Our kids think it’s the best pasta ever, as it has such a fun mouth feel, like chewy little bubbles. I also like that it retains its shape and texture when reheated. red quinoa: An ancient grain first cultivated by Incan tribes in the Andes Mountains of South America. 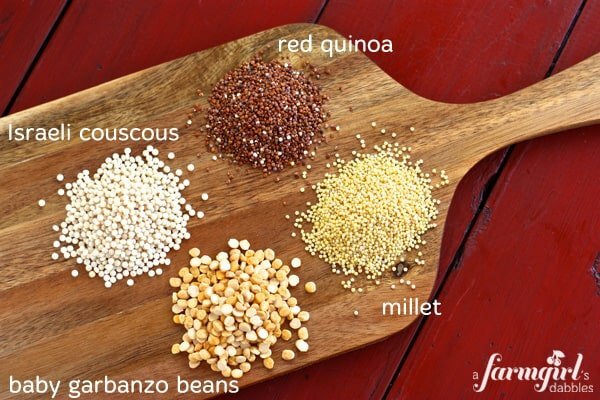 Both red and regular (creamy colored) quinoa are high in protein, nutritional value, and fiber. And they have a light, fluffy texture and a slightly nutty flavor. But I prefer the red quinoa, as it has a bit more flavor and holds its shape better…and it’s so pretty! Its texture reminds me of a more tender wild rice, which I love. millet: An ancient grain that is a staple ingredient in the Far East. It is small, round, and ivory in color, with a mildly sweet and delicately nutty flavor. Millet is nutritious, easily digestible, and an interesting alternative to the more common grains. baby garbanzo beans: Also referred to as chana dal beans. The cooked bean is about the same size and shape of a corn kernel. It is deep yellow in color, has a slightly sweet flavor similar to corn, and a nut-like texture. With my own blend now readily available from our pantry, I was back in the kitchen! I’ve always used a mixture of butter and olive oil when sautéeing. I like olive oil for its higher smoke point, and butter for the beautiful rich flavor only butter can impart, plus the pretty golden crust it creates. These two ingredients, plus the perfect touch of sea salt, were just meant to be together. So using the new Land O Lakes® Butter with Olive Oil & Sea Salt has become a natural choice for me whenever I sauté. My daughters also like to stir it into their pasta, and I like to melt it and drizzle it over popcorn. Yum! 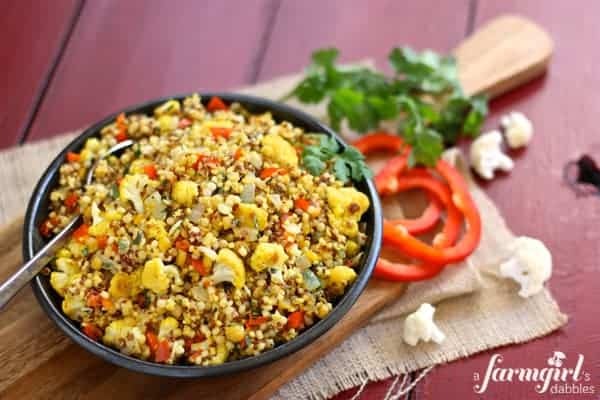 This recipe for Curried Cauliflower with Israeli Couscous and Grains features two separate sautés, using the perfect portion of one convenient half stick of Land O Lakes® Butter. First, onion, sweet red pepper, and garlic are cooked in Butter with Olive Oil & Sea Salt, until softened and fragrant. Once that mixture is removed from the pan, cauliflower florets are added, along with a bit more butter, plus curry and cumin. Can you smell the deliciousness?! I am only a recent fan of cauliflower, and encourage cauliflower naysayers to try both sautéeing and roasting this vegetable before completely writing it out of their lives. 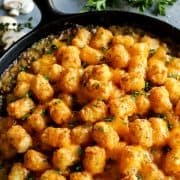 These two cooking methods magically transform cauliflower, just like they do many vegetables, and have made cauliflower the cool new dish in our home. My family absolutely devours it, and I’ve started buying two heads for each meal, as one is never quite enough for the four of us. I’m also giving away an awesome prize pack! It’s filled with goodies to help you make this recipe at home. 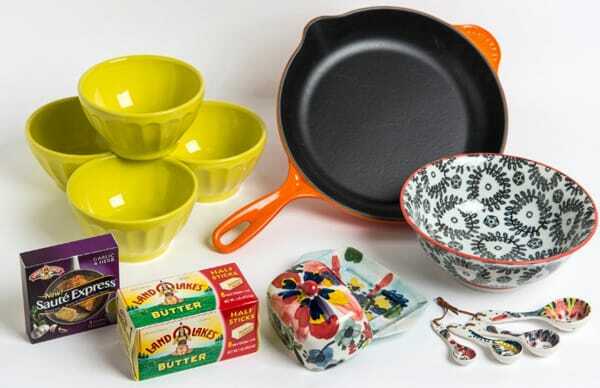 The gift package includes one full-value coupon for any Land O Lakes® Butter Half Sticks, one full-value coupon for Sauté Express® Sauté Starter, a Le Creuset cast iron skillet, plus gorgeous kitchen items from Anthropologie – a serving bowl, half stick butter dish (how fun is that?! ), measuring spoons, and a set of latte serving bowls (perfect for serving this curried cauliflower recipe!). To enter, just head over to the giveaway! In a large sauce pan over high heat, bring chicken broth to a boil. Add 1 tablespoon of the butter and 1/2 teaspoon of the kosher salt. Then stir in quinoa, millet, and garbanzo beans. Reduce heat to low and cover with lid. Cook for 10 minutes. Then stir in couscous, cover with lid again, and cook for 15 minutes more. Remove pan from heat, leaving the lid on. Return same skillet to the burner (no need to wash pan first) and turn the heat up just a bit, to medium-high. Add the remaining 1-1/2 tablespoons of Butter with Olive Oil & Sea Salt. Once the butter is melted, add cauliflower and stir to coat. Sprinkle evenly with curry, cumin, and black pepper, and then stir again. Sauté for about 6 minutes, stirring every couple minutes, until cauliflower is tender but still firm. 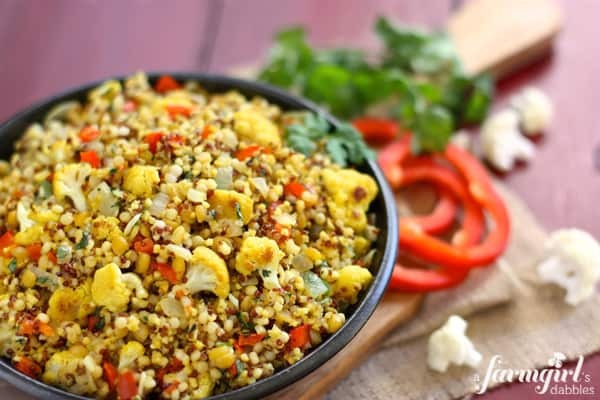 Add cauliflower to couscous and vegetable mixture, along with the cilantro, and fold to combine. Serve warm. 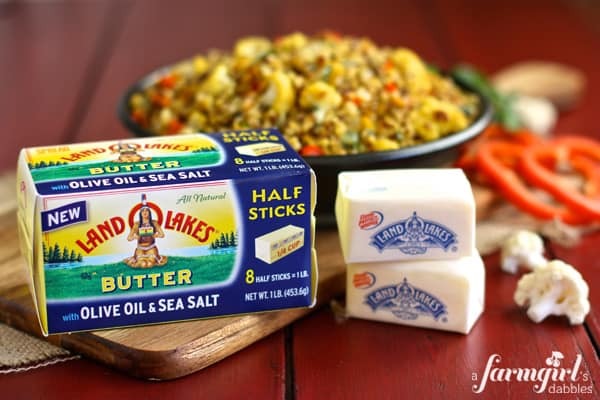 Disclosure: I’ve partnered with Land O’Lakes for an exclusive endorsement of Land O Lakes® Butter for their Kitchen Conversation blogger program. This post and the associated giveaway are sponsored by Land O’Lakes. All text and opinions are 100% my own. This is such a gorgeous dish, the flavors sound amazing. Oh I’ve been waiting for this recipe. This looks and sounds absolutely amazing. My kids actually really like cauliflower surprisingly, I usually just roast it for them. 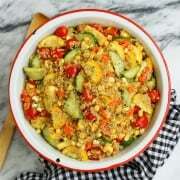 I have got to try this – I love whole grain dishes like this!! 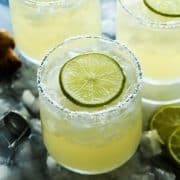 I love making my own mixes at home — looks delicious! I have just jumped on the Israeli couscous train and don’t plan on getting off any time soon. Loverly! That’s almost too beautiful to eat! Brenda, this recipe is calling my name. I love all the flavors, and I have to tell you that I too am hooked on that particular blend of israeli couscous and grains (my mother-in-law sweetly sends me a bag in care packages), but I had a light bulb moment with your instructions for making it myself – of course! Can’t wait to try this! What incredible flavors!! I love that you made your own mix of grains and beans. I follow Land O Lakes on facebook!! we have become a bit crazy for curries around here; I’m adding this to my arsenal! 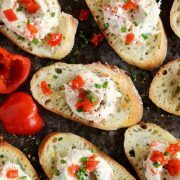 I adore this recipe Brenda and am adding it to the menu this week! 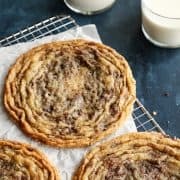 This looks like a recipe my family would enjoy! I enjoy following you on Pinterest! Absolutely love these flavors, Brenda! 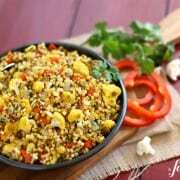 I love recipes with so many healthy ingredients – like cauliflower and grains! I could eat things like that all day long! Well, actually I do. 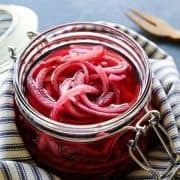 This recipe would be so fun and easy to make vegan too. Love it! And your photos, as always, are beautiful! ever since i saw this on the Kitchen Conversations webinar I’ve been dreaming of it! I can’t wait to give it a try! I love this!! Will have to make this soon!! We love cauliflower!! I love this dish, Brenda. SO many great flavors and colors!